The role of the Provincial Vice-Chancellor is primarily one of strategic administration and organisation for the Province. A member of the Provincial Executive, the Provincial Vice-Chancellor has a number of Provincial responsibilities, as well as being the conduit for all communication between the Province and Great Priory, and liaison with other Masonic Orders in the Province. Maintaining the Provincial records and forms. Dealing with the administrative arrangements for, and invitations to, the Annual Meeting of Provincial Priory. Liaising with other Provincial Vice Chancellors regarding invitations to their Provincial Priory meetings. Dealing with the administrative arrangements for the Annual Service of Thanksgiving. 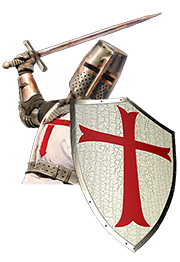 Managing the process of the approval of applications for Installation as a Knight of the Order and as Joining Members. Collation of Preceptory Installation Returns and applications for certificates. Collation of the Annual Returns and collection of Great Priory and Provincial Priory dues. Maintaining and updating the Provincial Records on the Keystone Online system, which is run by Mark Masons' Hall, and the Hertfordshire Provincial Yearbook entries for the Order. Managing the administration of the Provincial Honours awards made annually by the RE Provincial Prior. Overarching responsibility for the Provincial Website. In performing these duties, the Provincial Vice-Chancellor, of necessity, works very closely with the Provincial Marshal's department, and is assisted in his work by the Provincial Registrar. The Provincial Vice-Chancellor has traditionally taken the office of Registrar within the Macleod Preceptory No. 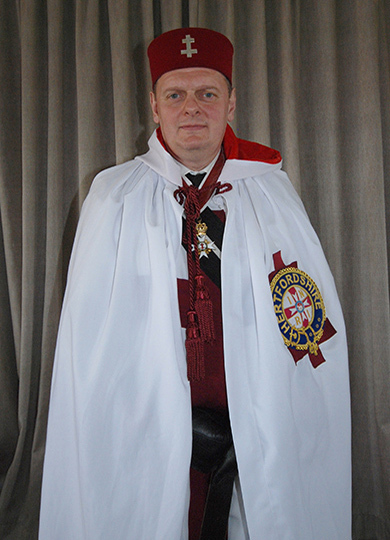 463, and, since 2016, now assumes the same responsibility in the Charles Herbert Perram Preceptory No. 409.